Brid qualified as a social worker in 1982 , working initially with young offenders and as a generic social worker before becoming a team manager of an area based social services team in 1989. Brid has substantial experience of working in and managing child protection cases. Since embarking on an academic career Brid has developed a research profile in working with men in child protection and in exploring the issues that parents face when involved with the child protection system and in family support. 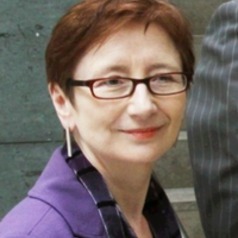 As Professor of Social Work since 2006, Brid has become increasingly involved in exploring and advising on the issues around systems design and reform both in England in the Republic of Ireland. - Commissioned by Director of Children’s Services Bradford to conduct an audit of safeguarding procedures post the death of Baby Peter Connolly. Presented findings to Local Safeguarding Children Board and staff throughout the directorate.